Myocarditis is classified as a rare disease but is estimated to affect thousands of adults and children in the U.S. and around the world each year. 3.1 million cases of myocarditis were diagnosed in 2017 (statistics posted in Lancet, November 2018). Because many individuals – and even physicians – are unfamiliar with this condition, the Myocarditis Foundation was established in 2005 to provide a trusted resource for those affected by myocarditis. Here, we’ll review the disease’s causes, symptoms, treatment and more to answer your most pressing questions. In simple terms, myocarditis is a disease that causes inflammation of the heart muscle. This inflammation enlarges and weakens the heart, creates scar tissue and forces it to work harder to circulate blood and oxygen throughout the body. While we often associate cardiovascular conditions with elderly populations, myocarditis can affect anyone, including young adults, children and infants. In fact, it most often affects otherwise healthy, young, athletic types with the high-risk population being those of ages from puberty through their early 30’s, affecting males twice as often as females. Myocarditis is the 3rd leading cause of Sudden Death in children and young adults. This information is meant to help you understand myocarditis. If you have questions about this information or about your condition, talk to a member of your health-care team. Your heart is a four-chambered, muscular pump about the size of an adult fist. Normally, the heart beats 60 to 100 times per minute, pumping blood throughout your body with each beat. Two upper heart chambers called the right and left atria (each is called an atrium) receive blood that returns to the heart from the body. Veins carry this returning blood to the atria. When the muscles of the atria contract, blood is squeezed into the two larger, lower heart chambers called the right and left ventricles. When the muscles of the ventricles contract, blood is propelled through arteries to the entire body. The pumping of the ventricles creates the pulse you feel in your wrist or neck. Myocarditis in a mouse heart. Cardiac inflammation stains purple. Viral infections are a leading cause of myocarditis. Inflammation occurs during the course of infection, putting stress on the heart that remains even after the infection is resolved. Cancer, bacterial infections and other contagious diseases can also cause myocarditis, as can exposure to environmental toxins ranging from metal poisons to spider and snake venom. A significantly smaller group of individuals with autoimmune conditions, may develop giant cell myocarditis. This variation of the disease often results in rapid deterioration but may still respond successfully to treatment, especially when diagnosed early. Currently there are no known lifestyle choices or medical treatments that can prevent myocarditis. If any of these symptoms are detected, it’s important to speak to your doctor right away. Electrical activity of your heart is detected by electrodes taped to your skin. This activity is recorded as waves that represent the electrical forces in the different parts of the heart. A chest X-ray produces an image on film that outlines your heart, lungs and other structures in your chest. From a chest X-ray, your physician learns information such as the size and shape of your heart. Sound waves (too high-pitched to be heard) are used to make an image of your heart or analyze blood flow. The sound waves are sent into your body from a transducer, a small plastic device. The sound waves are reflected back from internal structures, returning to the transducer and producing images of the heart and its structures. Less frequently, a cardiac magnetic resonance imaging (MRI) scan may be done to diagnose myocarditis. An MRI creates images using a magnetic field and radio waves. 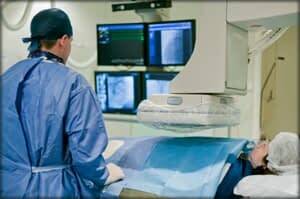 Occasionally, a heart biopsy is required to confirm the diagnosis. After treatment, many patients live long, full lives free from the effects of myocarditis. For others, however, ongoing cardiovascular medication or even a heart transplant may be needed. Overall, myocarditis which can cause dilated cardiomyopathy, are thought to account for up to 45 percent of heart transplants in the U.S. today. 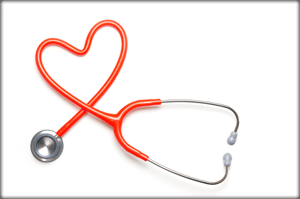 Healthy lifestyle changes can also support proper heart function. Your doctor may recommend that you reduce sodium in your diet, avoid alcohol, limit fluid intake and quit smoking. It’s also generally advised that you avoid competitive sports and other rigorous exercise for a period after diagnosis, to be determined by the cardiologist. And while it’s possible for the disease to come back, more-so in giant cell myocarditis, it is extremely rare. Yes, myocarditis can recur, and in some cases can lead to a chronically enlarged heart (called dilated cardiomyopathy). There is no known way to prevent recurrence of myocarditis. However, the risk of recurrence is low (probably about 10 to 15 percent). 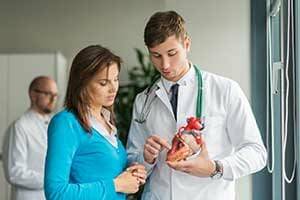 What Can be Done to Prevent Myocarditis? No lifestyle changes or medical treatments are known to prevent viral myocarditis. Because myocarditis is rare, information is limited regarding its causes and effective treatments. Myocarditis is not believed to be inherited. No genes are known to predispose people to myocarditis. If you or a loved one have been recently diagnosed with myocarditis, it’s important to access trusted information to guide you through this difficult time. The Myocarditis Foundation is a great way to access the latest research and connect with others who’ve experienced this rare disease. To learn more, contact the Myocarditis Foundation today at 281-713-2962. 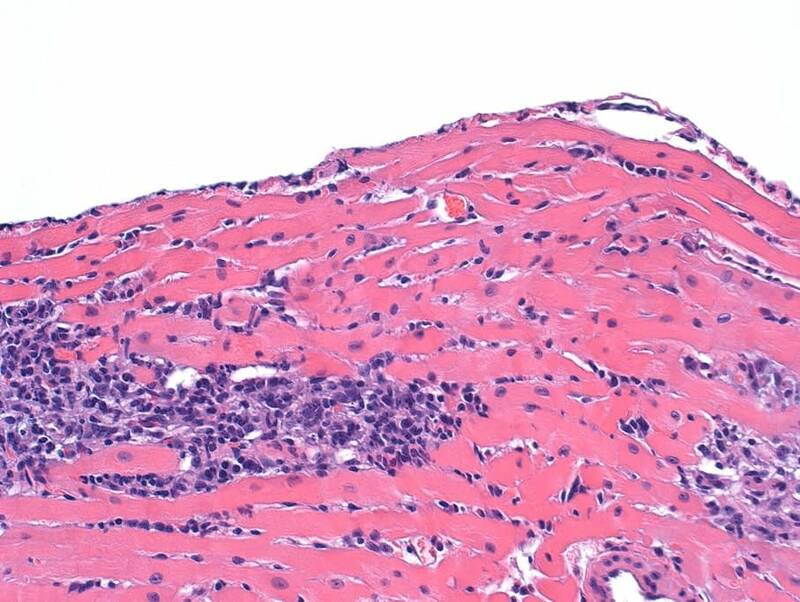 Learn more about giant cell myocarditis or browse myocarditis FAQs, myocarditis research articles and myocarditis research photos.